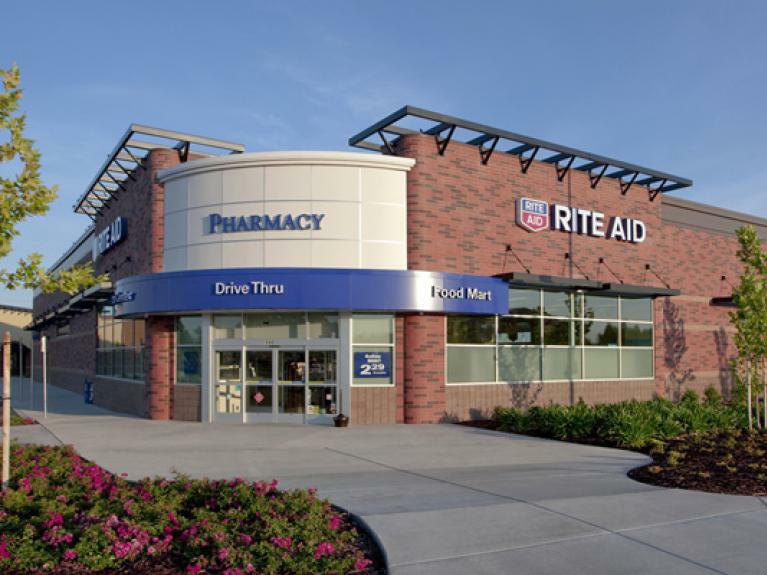 Rite Aid is a leading chain of pharmacy/drugstores in the United States. Its corporate headquarters are located in Cumberland County, Pennsylvania, and they have over 4,500 stores across the country. The publicly traded company made over $25.5 billion in revenue in 2014 while employing around 50,000 people. John Standley is the current Chairman and CEO, and Ken Martindale serves as President and COO. 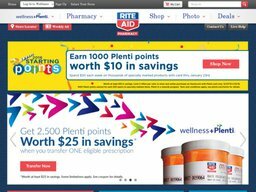 Rite Aid also sells over the counter medicines and fills prescriptions online at RiteAid.com. Here you can make savings on your orders by using special Rite Aid coupons. All you have to do is browse our up to date list of offers here at Coupofy and when you see one you like, clicking the link will take you directly to the store where you can apply the code during checkout. Rite Aid traces its roots back to 1962 when Lehrman & Sons opened a store called the Thrif D Discount Center in Scranton, Pennsylvania. Although it stocked health and beauty products it did not include a pharmacy until 1965, by which point the chain had expanded to 23 stores. It was around this time they rebranded as Rite Aid. The company continued to open more stores and in 1968 went public on the stock market. In 2011, Rite Aid was ranked #100 on Fortune 500 largest US corporations. It's now the biggest drugstore chain on the East coast and the third largest in the country. Medicine & Health, Beauty, Personal Care, Vitamins & Supplements, Sexual Health, Diet & Fitness, "Baby, Kids & Mom,", Electronics & Office, Household, and Greeting Cards. Rite Aid also offers a photo printing service that can use your uploaded photos to make personalized cards, book covers, albums, calendars, or just extra prints. You can also buy gift cards so the recipient can make their own purchases. Rite Aid's online store operates two services. Much like the physical drugstores you can buy over the counter medicines, health products and other items, by adding them to your basket and checking them out like a typical ecommerce site. You can also have your doctor prescribed medication fulfilled and delivered to your door. To do this you need to register an account and provide your prescription details and/or the details of your current pharmacy so everything can be transferred over. Rite Aid accept payments from all major credit cards, as well as their own gift cards. To redeem a Rite Aid coupon code simply enter it in to the promo box ahead of the payment step. RiteAid.com currently only caters to US customers and will ship to both street and PO Box addresses. All orders over the value of $34.99 ship for free, otherwise standard shipping is $5.49 (3 to 5 days). Expedited shipping is $11.75 (1 to 3 days), and 1 day shipping is $18.75. From time to time you can also get free shipping regardless of the order value by redeeming special Rite Aid coupons, which we list alongside all of the other codes. They operate a 30 day returns policy, but unless the item is defective you must cover the shipping costs. If it is an unwanted item it must be returned unopened and in the original packaging. Prescriptions are excluded from the returns policy. @_Touch_e We got you! Thanks for choosing us for your prescription needs. @jessgrondin Hello Jessica- We can certainly look into this for you. Can you please DM us with your zip code?